Now and again a gem of an artifact will walk through the museum doors. This was the case when a Safe Conduct pamphlet came through the museum doors one morning. 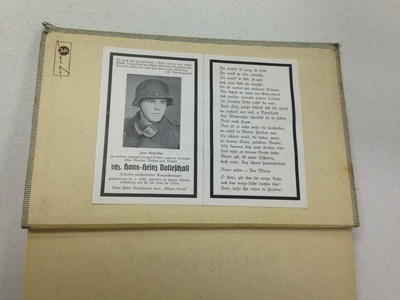 Safe Conduct pamphlets were used throughout World War II, in the European and the Pacific Theater. 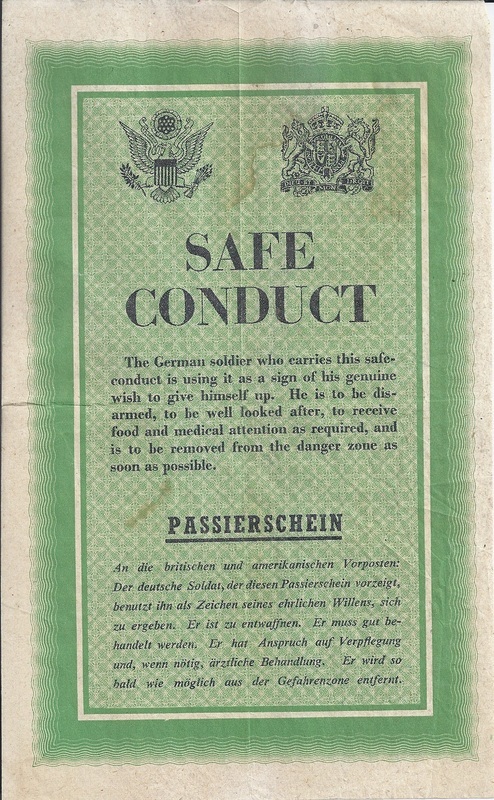 Prior to the United States involvement in World War II, the British, French, and Russians had already put Safe Conduct pamphlets to use, but they lacked consistency. This changed when the United States became involved. Earlier Passiercshen also contained Dwight Eisenhower’s signature, but was removed from the later copies. The back side contained several quotes from the Geneva conventions as well as the conditions of the POW camps in America. 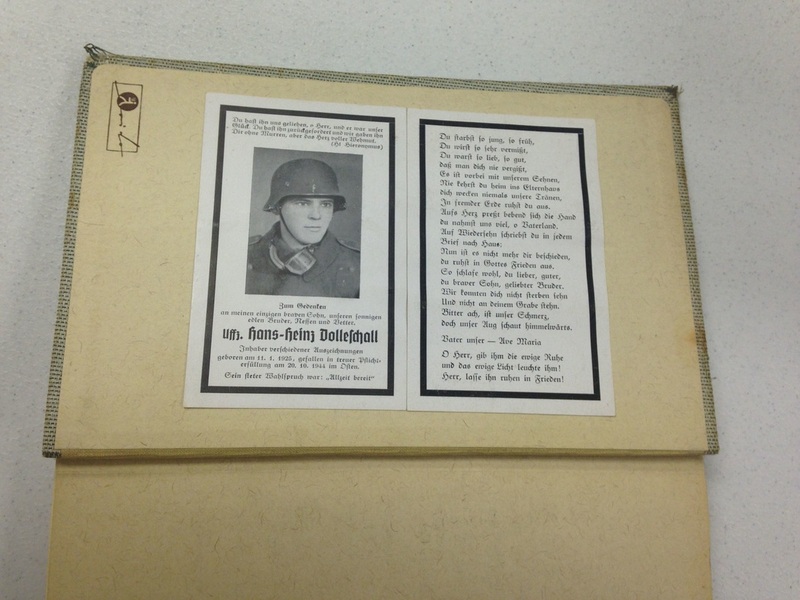 Today, these Safe Conduct pamphlets are considered one of the most effective pamphlets of the World War II. 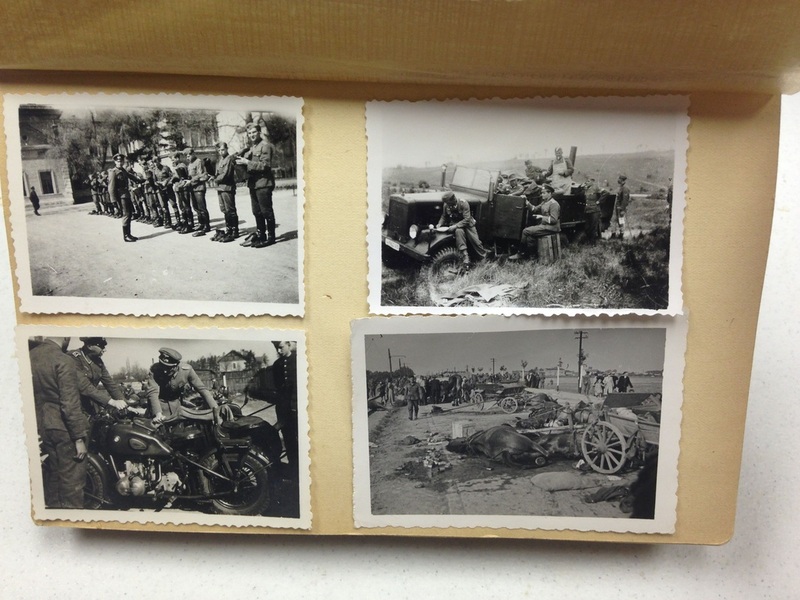 As I have worked in the collections during the summer, I discovered the POW museum has a large amount of paper currency donated by Kossuth County veterans, who picked up the money while they were fighting abroad in Europe or Asia. There are Japanese yen issued in the Philippines and Reichspfennigs from Nazi Germany. 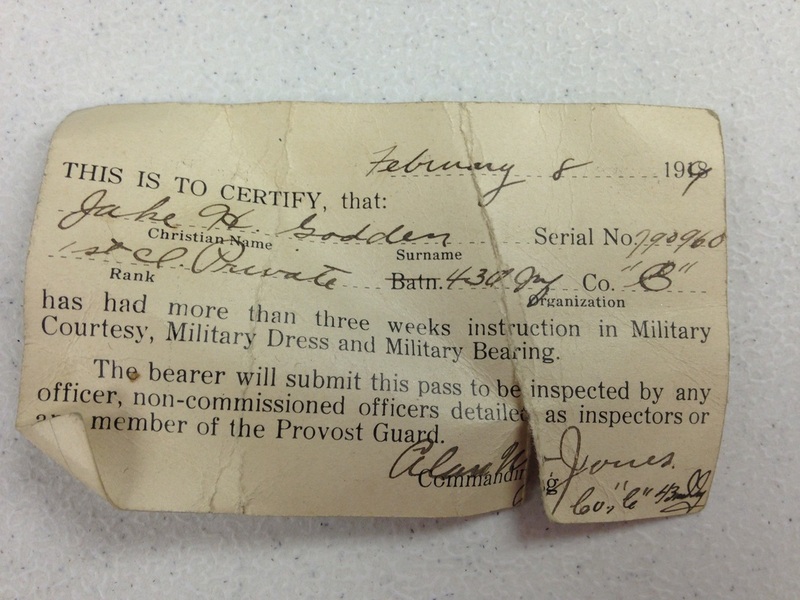 However, two bills which belonged to Jake Orf, a man who became a guard at Camp Algona after fighting in Africa and Italy, caught my attention. The first bill is a bill issued by the Allied Powers. This bill, an Italian Lira, was part of a series of bills called Allied Military Currency. The British and Americans printed this type of currency together and issued it in newly liberated/defeated countries. It was used by Allied troops and citizens after a successful takeover and subsequent occupation of an area. 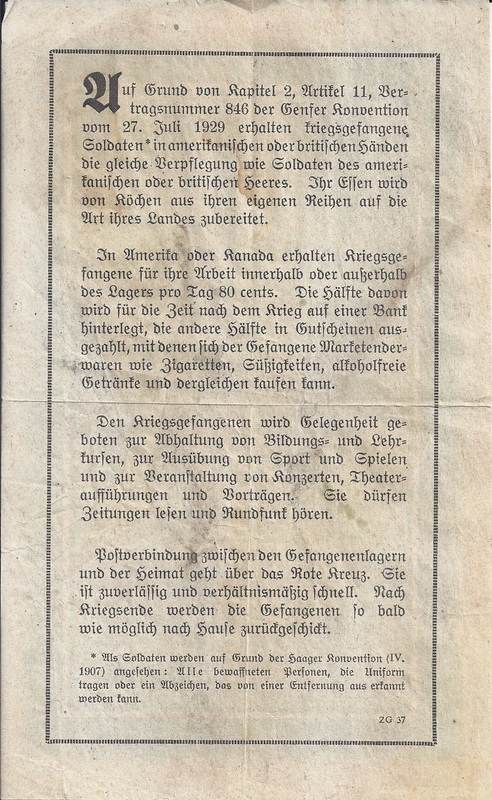 These notes not only allowed Allied and American soldiers to spend money in nations, but also were made to help support the occupied nation’s rare and devalued banknotes. In the end, Allied Military Currency was not only printed in lira, but also franc, kroner, mark, schillings, and yen. Look at the front and back side of the Allied Military Currency 1 Lira note from 1943 (first image below) . Notice that four freedoms (freedom of speech, freedom of religion, freedom from want, and freedom from fear) are on the reverse (second image below). Notice that the bills are printed in blue, red, and white-the colors of both Britain and America-and also are in English. Compare it to the 10 Dieci lire note from 1939 (last image below) that was prevalent in Italy before the war (also picked up by Jake Orf in Italy). 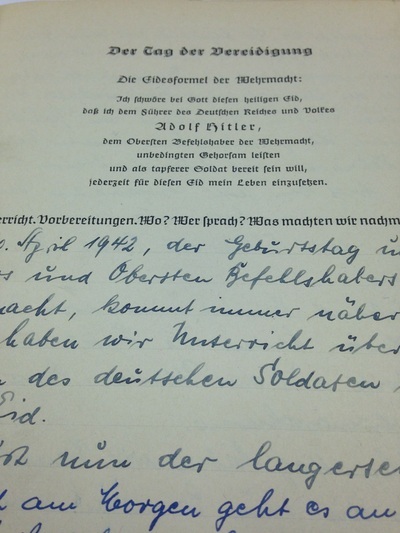 This note, printed right before the war, sends a completely different message. This bill supports the kingdom of Italy and showcases a picture of Victor Emmanuel III, the king. Notice that he is depicted wearing a military uniform as Marshall of Italy. Both bills clearly indicate who is in charge and the political ideologies each represent. Italians that used these bills would no doubt pick up on these subtle messages. Do you think Allied Military Currency made a difference in spreading the message of the Allies and spreading their political ideologies? Can you think of other everyday items, such as money, that could be useful in such total war situations? 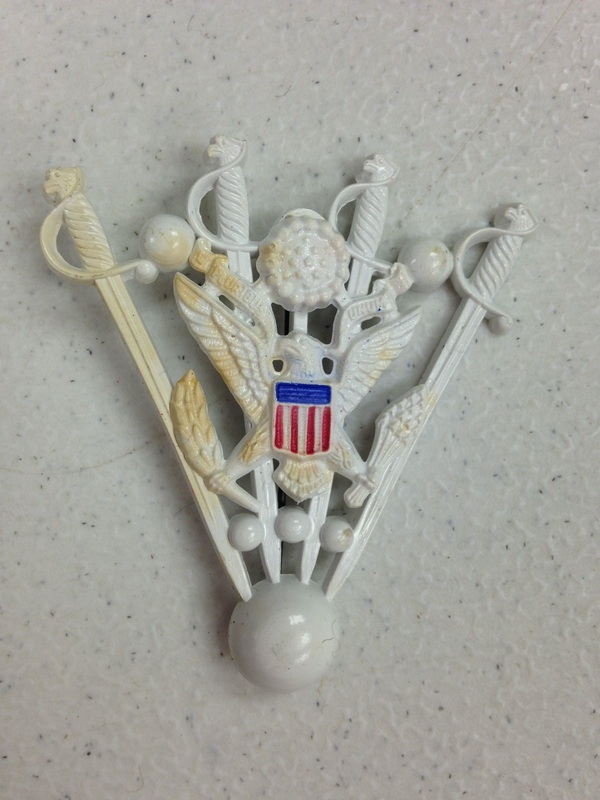 Since the Camp Algona POW Museum has been focused these past few weeks on planning our special exhibit about food production during WWII, tentatively titled “Our Food is Fighting,” I have decided to showcase a food related item in this week’s artifact of the week. To read more about this upcoming special exhibit, please read the “Historian’s Corner” blog, located here. This is a canteen used by an American soldier in WWII. A canteen was a basic part of every soldier’s equipment. This canteen holds about 1 quart of liquid and is made out of stainless steel. The canteen has a curved “kidney shape” body and a screw on plastic cap attached by a chain. It sits in a separate metal cup that soldiers could use to make coffee, soup, or drinks. The entire canteen and cup is insulated by a cloth cover marked “U.S.” that can attach to a soldier’s belt or pack. The US military issued this style of canteen from 1942 to 1963. This particular canteen is dated 1944 and was manufactured by the G.P. & F. Co. Numerous visitors that come to the Camp Algona POW Museum inquire about Nazism in the camps. Considering Camp Algona housed nearly 10,000 German prisoners during WWII, it is not surprising that the museum’s collection houses numerous artifacts from the Third Reich and the Nazi party. 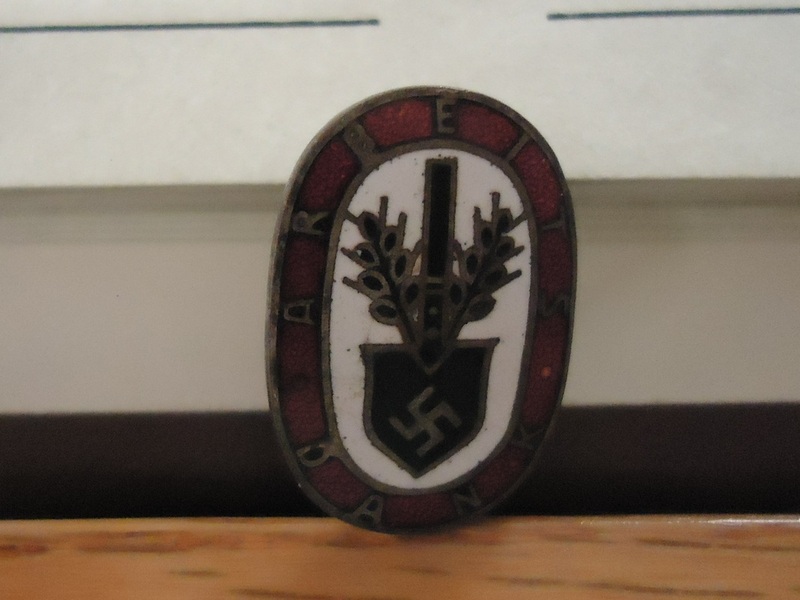 The artifact this week is a Reich Labor Service pin, awarded to each recipient for helping with the NSDAP (National Socialist German Worker’s Party) four year plan. The Reich Labor Service (Reichsarbeitsdienst) was a large organization created by the Nazi government in 1934 to help reduce unemployment in Germany, militarize the work force, and teach Nazi ideology. Service in this organization was compulsory and nationwide for all males aged 18-25 for 6 months. Before the war, the organization took on many projects to improve Germany’s infrastructure, such as reclaiming marshland and fallow land for agriculture, improving draining systems and building dykes and roads. At the start of the war, the organization’s project helped the German war effort and built fortification lines along Germany’s borders. As the war continued, Reich Labor Service workers helped build other fortifications, acted as guards, and cleared and repaired roads and airstrips so supplies could reach Nazi troops. 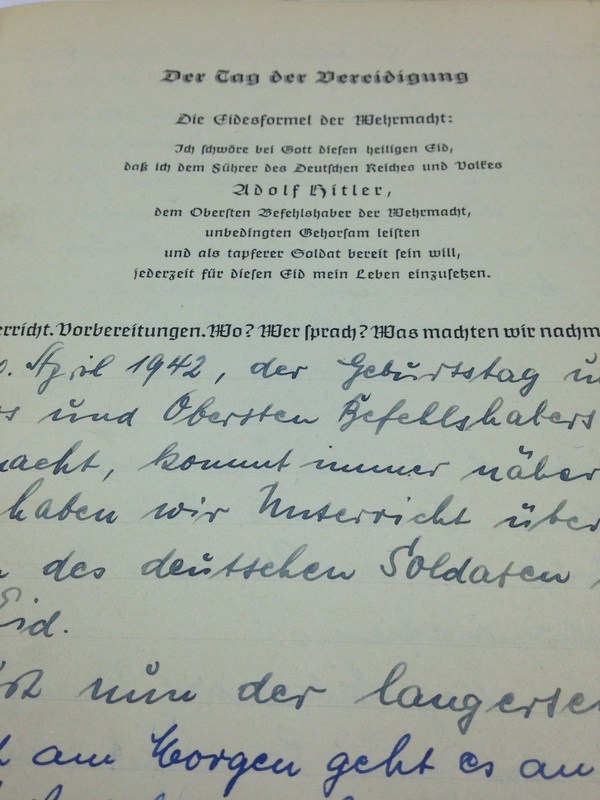 Interested in seeing more artifacts from Germany's Nazi past? 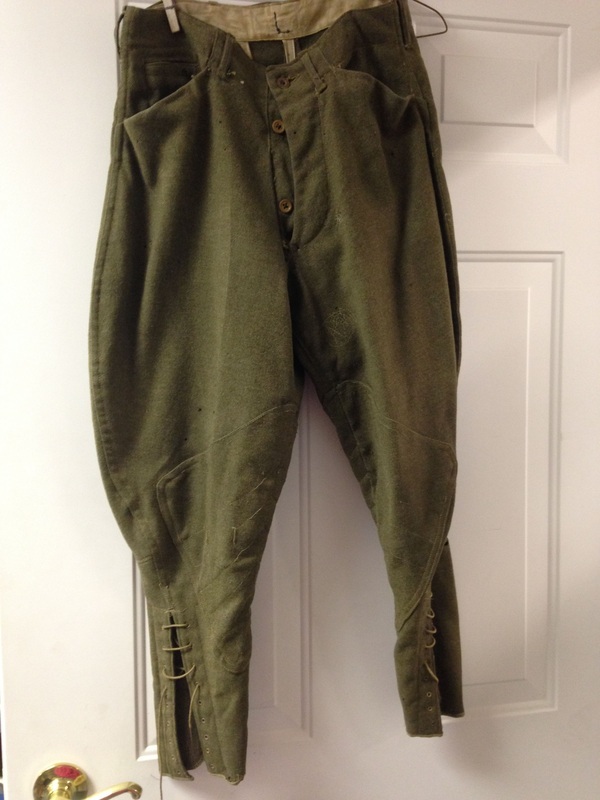 Comment below or visit us at the Camp Algona POW Museum! 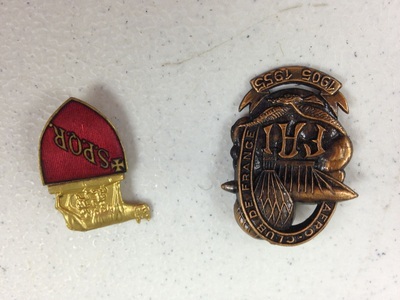 To read and join a larger discussion on Nazism in Camp Algona see the Historian's corner blog for this week, click here. World War I was a whole new ballgame when it came to warfare. Uniforms were no different. It was not until the 20th century where armies, including the United States strove to make soldier's uniforms more comfortable and efficient for the trenches. 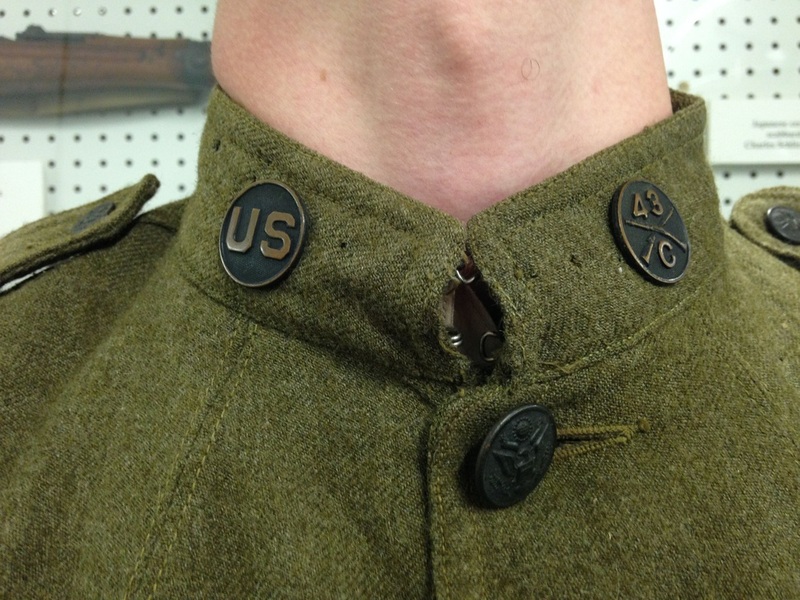 The identifiers of what division the soldier was in was identified on pins placed at the neck of the uniform, which were easily removed for washing. 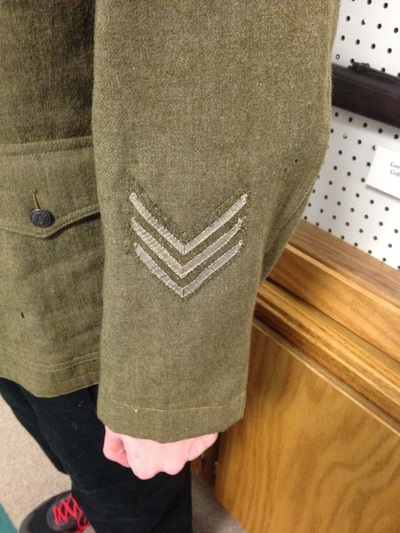 The piping on the uniform determined what branch of service the soldier was in. 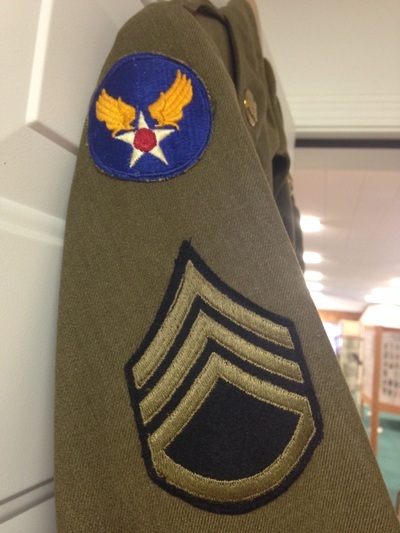 This particular uniform was worn by Kossuth County native Jake Godden. Most Wehrmacht soldiers were required to carry their military service log with them wherever they went. 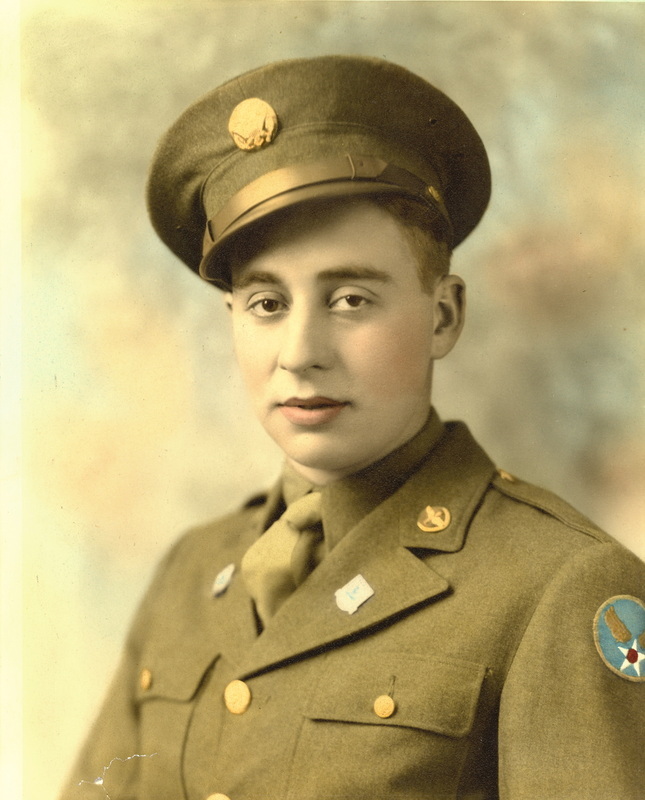 It detailed when they entered service, when they were officially "sworn in" to the service, what their marks were for weapons and basic training, the oath they must take upon joining the Wehrmacht, and what campaigns they served in. 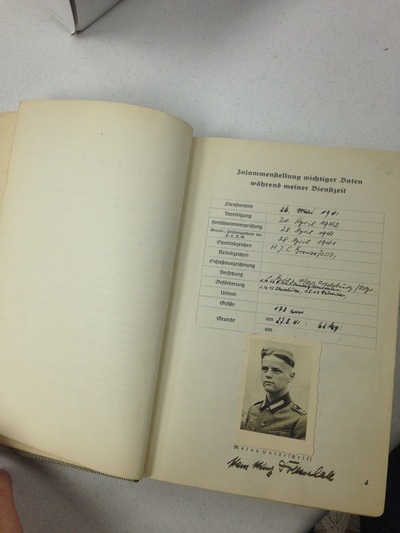 In addition, this soldier's book had questions to be filled out at the soldier's leisure that included: "What kind of weapon would you like to use" and "Information about your horse". There was also enough space to use the additional pages as a diary. 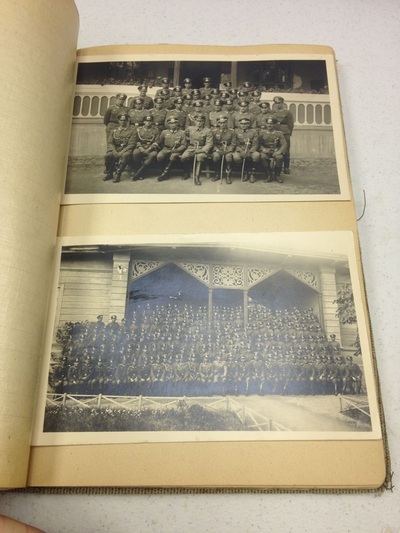 This soldier used the pages as a diary as well as a photo album. The photos show his time in the service from when he joined the Wehrmacht in 1941 through his time on the Eastern Front, where he was killed in 1944. This is a priceless piece of history. In addition, it is part of my favorite kind, it tells the story of an individual person who participated, instead of the normal history that we are taught in history classes. It makes it more personal. 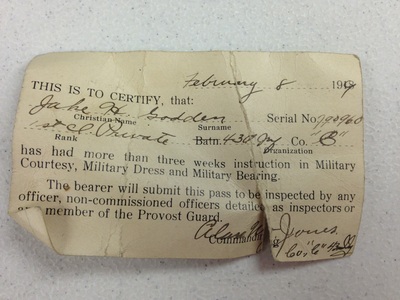 With an artifact like this, you realize that most soldiers that fought during the war were just normal people. To read their thoughts and see what they experienced through their personal pictures is a pretty memorable experience. As a smaller museum, we tend to get more donations then we could ever display. 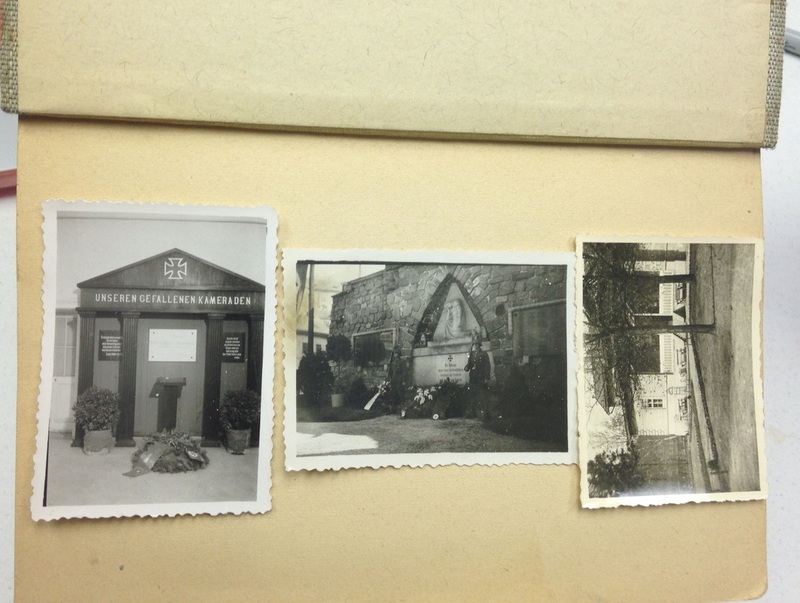 Sure, we like to keep things new to returning visitors and try to change up exhibits, but it is difficult to still include everything that we have in the collection. 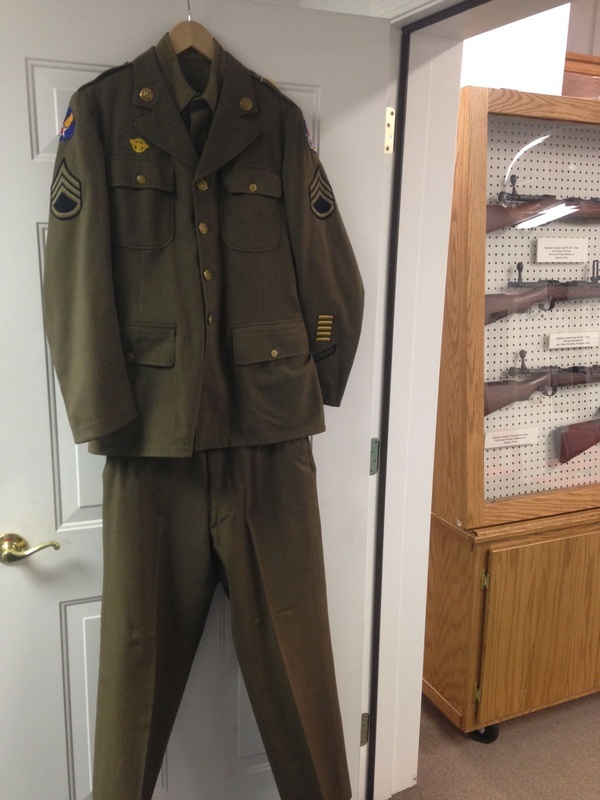 Uniforms are something that we have a lot of, but such a small amount of space to display. It has been an age old question in most of my museum studies classes I have taken over the years of how to solve that problem. 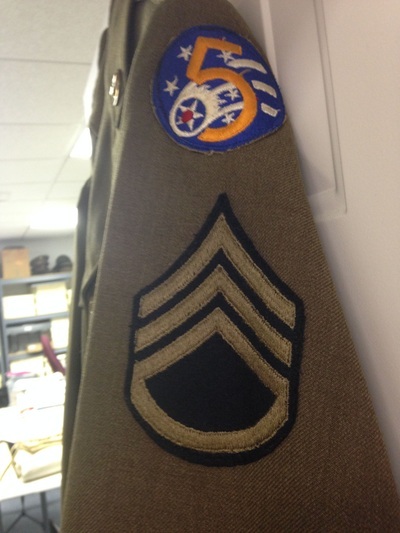 Family members donate their family's hero's uniform and expect it to be displayed, but that is not always the case. 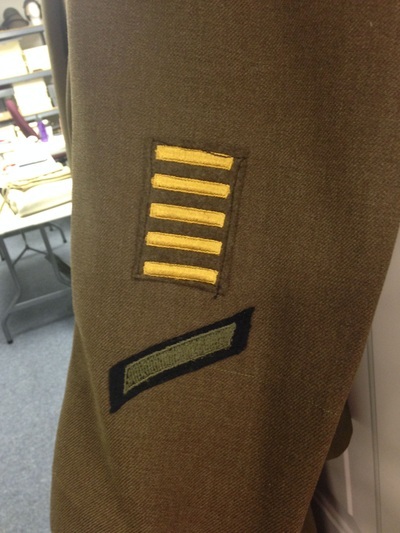 This may not be the best way, but the virtual exhibit and Artifact of the Week: Uniform Edition is the best we can do, so please enjoy! In fact, my boyfriend told me a story he had read about the history of the 1st Division's patch that got me thinking about patches. 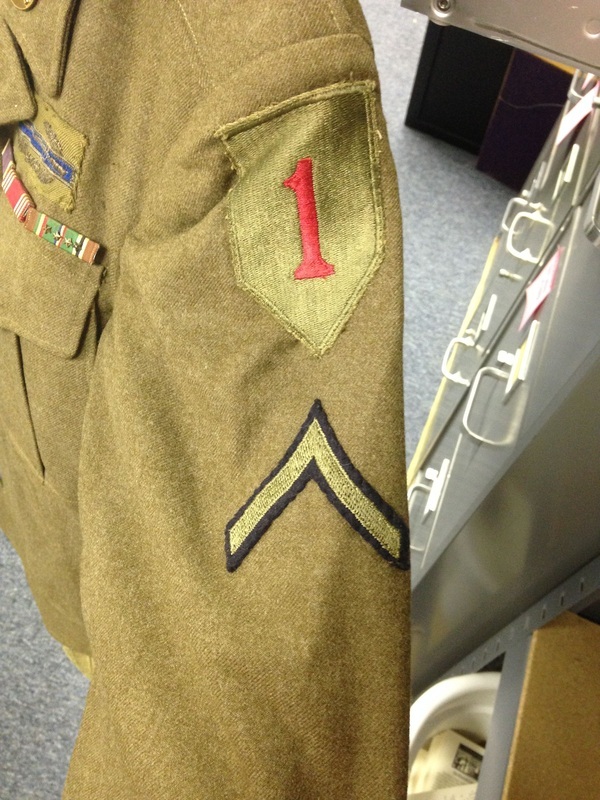 According to the 1st Infantry Division Society there was a tale that said a general with the 1st Division thought they needed a shoulder insignia and a lieutenant brought him a prototype using a piece of cloth from a captured German uniform on which he placed a red "1". Kind of an interesting history, if it's true. Unfortunately it may be more of a telltale then the truth, as many other sources have said the 1st Division received their big red "1" from being the first American division to land in France during World War I.